“Please Ma’am, it hurts,” Phillip said, speaking to Maria from his position bent over the hassock in the parlour. It was her second visit to the house, and this time she was here for a light little dinner party welcoming Patricia back to the capital. The previous day Maria had been relatively gentle with him and confined herself to light humiliations, pinching and stretching his skin and massaging the afternoon fresh welts, but this had evidently not been enough to satisfy her, because getting her hands on him seemed to be her first priority. 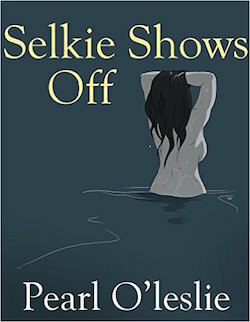 She had him mostly naked, except for one sock, and that only because she’d lost patience while he’d carefully undressed. Under Annette’s guidance, where there was an audience he’d learned to make it a slow process, designed to show off his body, but this didn’t please Maria, who slapped his face for taking so long. Not quite comprehending, but always fearful of Maria, Phillip had complied with her instructions, never finding he could reach her standards as he received slaps and let her shove him onto his belly. To his distress, her wet fingers separated the still badly bruised halves of his buttocks and probed, sharp nail scraping and then a finger working into him. All this took place with an audience. Maria’s mother, Mrs. Dekovics, was absent on another commitment that night in the rare company of her husband, a retired Colonel, but Patricia was there and cheerfully describing her trip down from the north, reassuring everyone that the only inconvenience was all the homeguard check points, a fact good naturedly affirmed by Pitor. Vitaly was invited and dressed for the first time Phillip had ever seen, and had not gained any fat or muscle tone in the mean time, perhaps looking even more gaunt and haggard. There was also the man called Puppy, as ever on the floor, and of course Annette, sitting as the queen of the room in a heavy winter dress of coppery wool and airy skirts. Not blue again, another deviation. “You’ll find that with a little bit of time one hand is not enough.” Maria made a suggestive gesture. “My Vitya craves whatever he can get. Phillip whimpered softly, fingers scrabbling the carpet again. He assumed that she was speaking rhetorically and tried to make himself stay in place. “I asked you a question!” Maria pressed the heel of her hand into his bruises, but it wasn’t the pain that drew out his response, it was everything Annette trained into him. “Completely, My Lady, I cannot see how a body recovers. I…” Phillip replied just as quietly. For a few long minutes, Maria kept to contemplation while Phillip stood at attention. He’d used his other foot to remove the remaining sock, standing for her in section with his hands behind his back, avoiding looking at her but extremely aware she was there, feeling the heat from her body, her breath and the tension. Her hand caressed his stomach, but it wasn’t a loving gesture. There was hate in Maria’s face, twisting her to ugliness. Her knee met his groin and he doubled up, only to find Pitor hauling him straight, and back to his feet. The older man had slipped behind him, and put his arms so they held Phillip under the arms and looped around his shoulders, so Maria could repeat her assault. Patricia had settled forward in her seat, evidently enjoying the show, but Phillip was more concerned with Annette’s reaction. She was still in the same calm position, not licking her lips like Maria, nor looking away like Vitaly. Maria was true to her threats, hitting him until he gagged and coughed, swallowing to try to keep the last food he ate in his stomach. She struck his chest as well, full force but still a bit clumsy. “Do you wish you had chosen my hand instead of this?” Maria asked, daring him. “No ma’am… ah!” Phillip answered honestly, but Maria captured his chin, holding his head in place so she could look into his eyes. She looked for something, didn’t find it, and sucked air through her teeth in annoyance. “Pitor, I want him to remember me well. I want to make an impression.” Maria’s fingers walked from chin to Phillip’s belly, fist balling and punching him in the stomach again. Pitor let him drop onto the carpet, where her pulled his knees up, huddled between Maria and the man that belonged to Patricia. 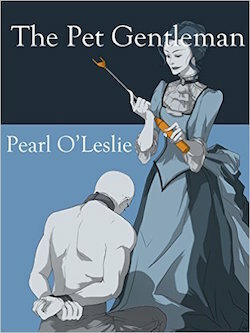 Maria took her time, methodically making up a system of pain, splitting and bruising flesh, making his back a weave of crossed welts with the cane, and having Pitor sit on his legs while she whisked the soles of Phillip’s feet until he couldn’t stand. Patricia’s male filled in a part that he was used to finding from one of the house guards, seeming quite as interested in every strike as the watching women. Only Vitaly looked away, sunk eyed and quiet, but Phillip looked mostly to Annette as Maria found ways to pull screams out of his cramped belly. And then Annette was kneeling and Pitor had helped him crawl to put himself over her lap, arms reaching for the comfort she offered as she stroked his face. Breathing deep but slow, he saw Maria sit down again, and curiously, Vitaly collapse onto her into a tight embrace that hid his face against Maria’s stomach. Though it hurt worse than it had in months, something about Annette’s gentleness pulled him away from the pain, as she saw that a pair of footman carried him to spare his feet, ordering them to put him to bed with painkillers. And to his surprise it wasn’t his little attic room they brought him to, but her broad bed, with the lights dimmed, and the rose coloured canopy curtains closed to make a small, private place. Alone in the bed, pills dulling everything to a manageable throb, he slept face down.